darkSpyro - Spyro and Skylanders Forum - The Legend of Spyro: Dawn of the Dragon - Worth It?! 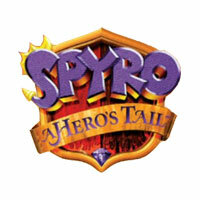 darkSpyro - Spyro and Skylanders Forum > The Legend of Spyro: Dawn of the Dragon > Worth It?! Is this game worth it? Or is it like fun for the first hour or two then gets repetitive? Based on the small amount of images I have seen they all look kinda the same. I wouldn't say it's repetitive,but it doesn't have that much variety at all. If button mashing isn't your thing,though,don't even get close to it unless you've got a friend to co-op with. It stands out at some parts when it comes to visuals and some puzzles,but overall it's a very 'meh' game. Ahh so don't get it if there isn't anyone to play it with CO-OP wise? I just wish Redbox hadn't shut down Blockbusters and other game rental places that way I could try it out. Well,from my experience,unless you get it for really cheap,it's only worth it if you've got someone to play with.Sure,there's stuff to collect,EXP to farm,and a kind of lackluster story to follow,but once you beat the game,that's it.Nearly no reason to replay it,and even the first time around might make you bored sometimes.But as with any co-op game,the extra challenge of having to work together always makes everything better,specially since the puzzles also require more than one character to work. I will have to check it out. Based on what most of you guys are saying I won't give this game a chance. I guess Ill just level all my Skylanders to 15 until SWAP FORCE! The plot was full of poo and plotholes, yada yada but it's fun. Unless you play it a billion times like I did and by then any game gets old. It's worth a shot.